Original album covers for two different genres were created based on the artists style and album content. 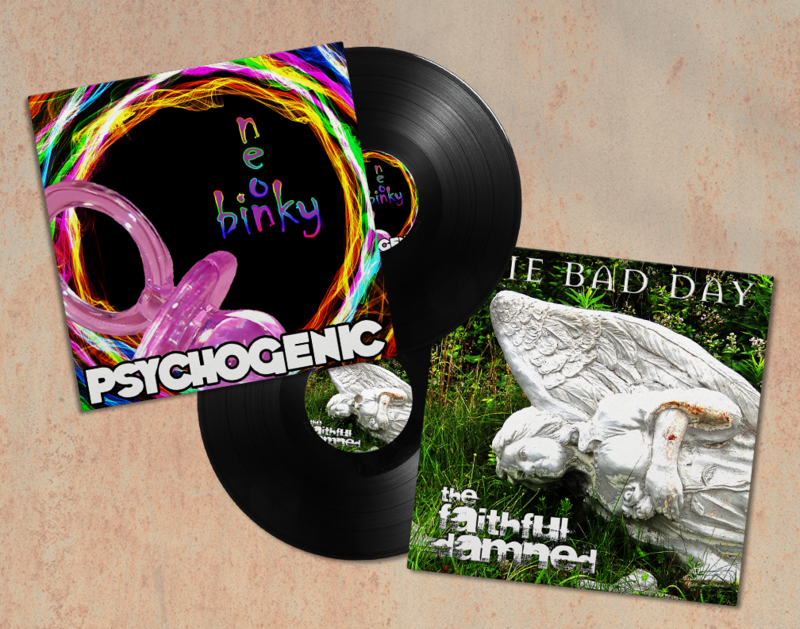 Psychogenic, a techno band produced an aggressive, upbeat, dance album labeled Neon Binky. The album cover displayed its title branding in a bold display typeface while the album name was cast in an equally striking but smaller display font. A bright, colorful, vibrant color scheme was utilized to reflect the music of the artists. One Bad Day, an alternative rock album by The Faithful Damned, needed a sturdy, strong typeface with a grunge undertone. A display font named Trashed was ultimately selected for the bands name while Mason was utilized to the album’s title. An earthy, natural palette was used to emphasize the gritty, rock and roll style of this alternative band.